We won't call you unless you ask us to. Speak with us today! Simply leave your details and one of our friendly team will contact you. Enrich Living Services began in 2018 as a response to what our clients were telling us they wanted most. More and more people are choosing to stay at home as they get older but for the majority of us, an independent home life is about so much more than meeting a person’s care needs. Our clients told us that it was important to feel a sense of belonging, control, to give back to friends, family and the community, to thrive socially and to occupy their lives with meaningful interactions to live fulfilling and independent lives. So the idea of ‘living services’ was born. Enrich is focused on helping individuals, families and couples where it really matters to them – personalising living services to support meaningful, rewarding, healthy and inspired lives. Read Frank and Elaine’s story. We value your feedback on our services, and continually review and improve our service delivery based on this feedback. We encourage you to talk with a team member if you have a comment, complaint, compliment, concerns or suggestion for improvement. You have the right to engage an advocate to support you in raising comments and complaints with our organisation and our staff are able to assist you with this. The reviewing and monitoring of your satisfaction with a complaints experience. Complaints can be made anonymously if you prefer not to be named. However, this may limit our ability to address specific concerns. If you feel your concerns have not been addressed adequately, we encourage you to contact our chief operating officer on 1300 20 20 03 or email our governance team using the online feedback form. For more information, please ask for a copy of our Compliments and Complaints Policy. Enrich Living encourages the reporting of any instances of suspected unethical, illegal, fraudulent or undesirable conduct and will ensure that those persons who make a report shall do so without fear of intimidation, disadvantage or reprisal under the Enrich Whistle Blower’s Policy. We are committed to managing personal information in accordance with the Australian Privacy Principles under the Privacy Act 1988 (Cth), other applicable privacy laws and related program standards. 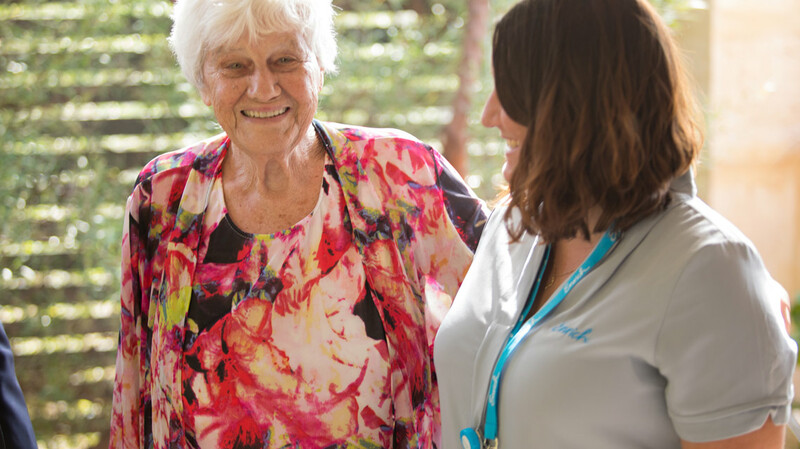 The Enrich team is made up of a variety of skilled and passionate home, aged care and health professions who share the one vision – to make a difference in the lives of our clients. If this sounds like you, please check our latest job vacancies before getting in touch. 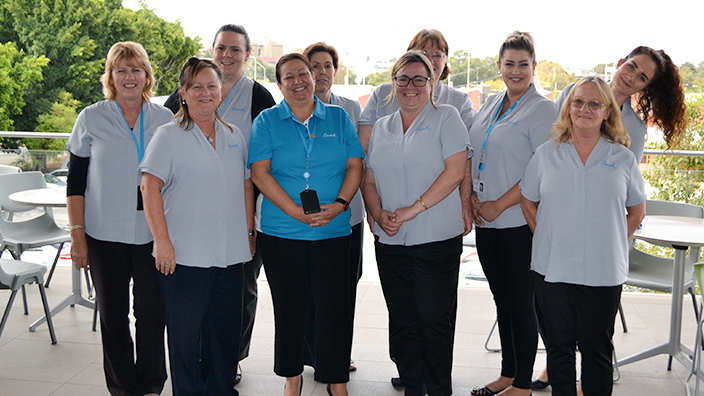 Enrich Living Services is a national approved provider of Government subsidised services. This means we meet national accreditation standards. We are audited regularly against a number of standards, including the national ‘Common Care Standards’ through the Australian Aged Care Quality Agency (AACQA). Disability Services (including state based disability services and NDIS). Enrich is committed to ensuring our resources and services are accessible to those wishing to utilise them. We hold high regard for the needs of users with special needs such as those with vision or hearing impairments and those with cognitive and learning limitations and appreciate that our content may be accessed from a multitude of devices including mobile phones. Our website has been designed to offer greater accessibility to a wider range of users and software agents. Our website meets Level A standards and some aspects of Level AA of world standards (based on the international Web Content Accessibility Guidelines). Most content is available in an alternative format. For example, text content can be read audibly by a web/screen reader. Additionally, you can use our text size tool (located top right hand side of this website) to make the text on this site larger, as well as translate all pages into your preferred language using the Google Translator tool (please select your preferred language from the left hand side menu). If you cannot find the information you need, please contact us.